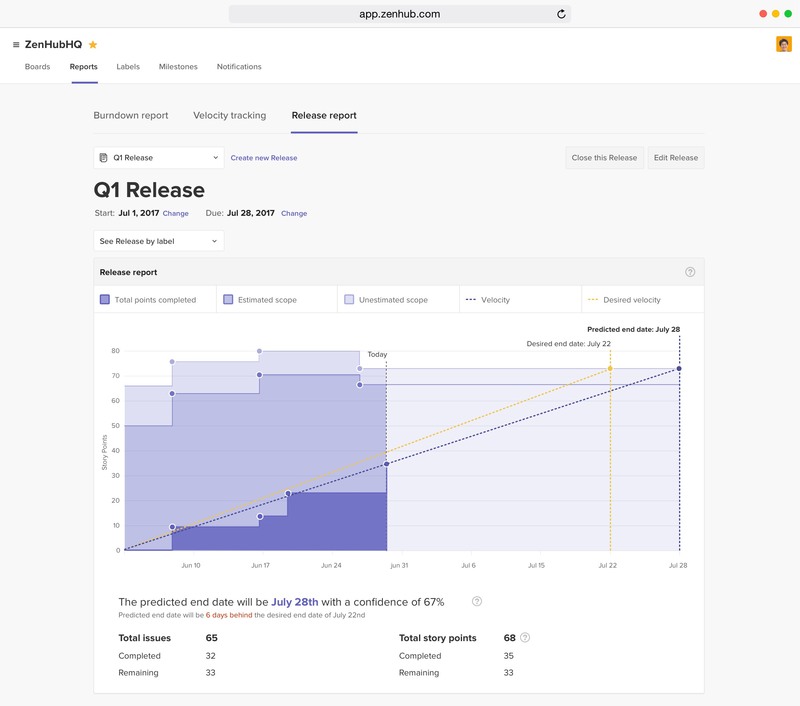 Join your team in GitHub to ship better software, faster. 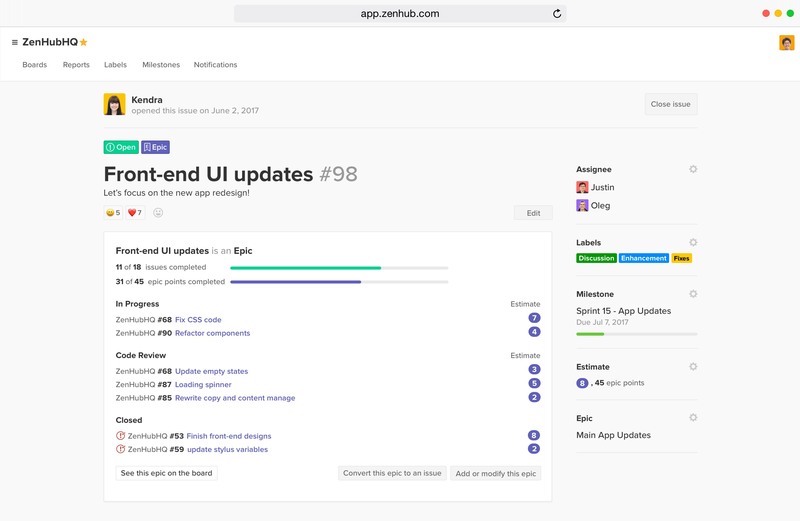 ZenHub, the original GitHub project management tool, is now available on all web and mobile browsers. Now it's easier than ever for the whole team to get total visibility into the development process while developers get to stay in an environment they love. 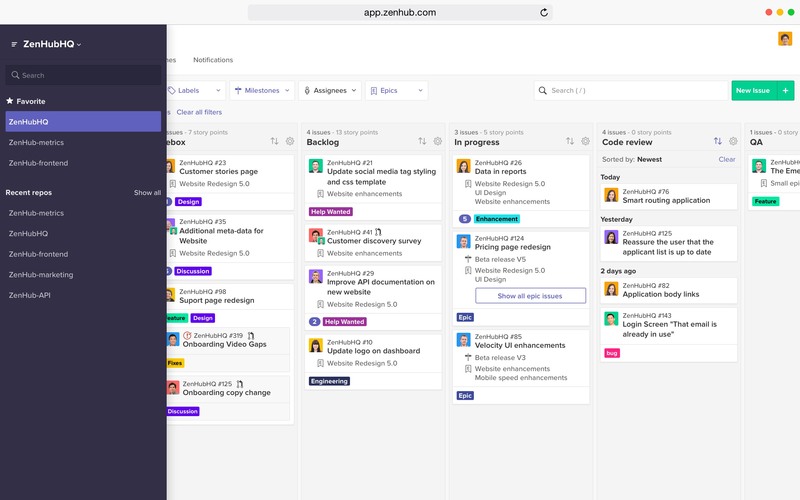 ZenHub gives our non-technical team members access to GitHub-based project planning tools without the distraction of features that don’t apply to them. 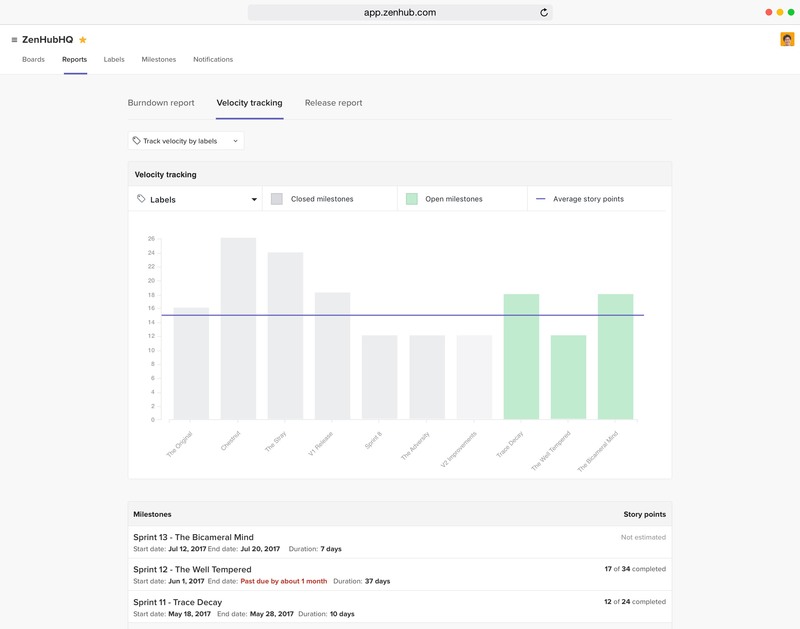 Align your teams and ship real value to customers faster. 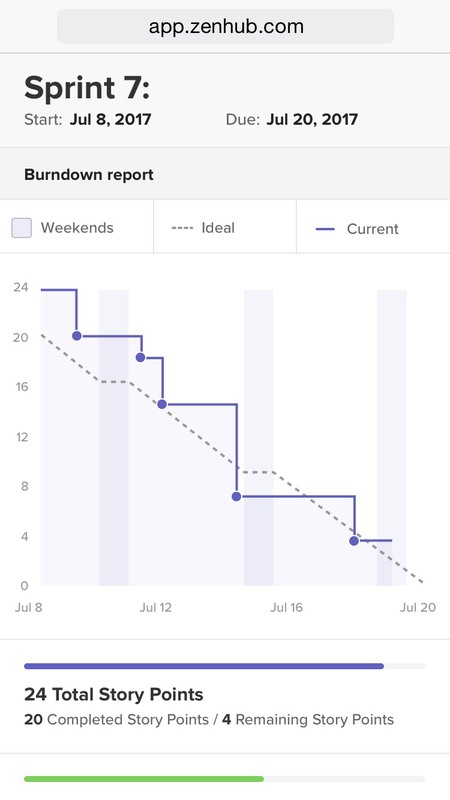 Powerful planning features like Estimates and Epics save time by breaking down complex projects into small, manageable tasks. ZenHub is powered by live GitHub data, so your information is always accurate. 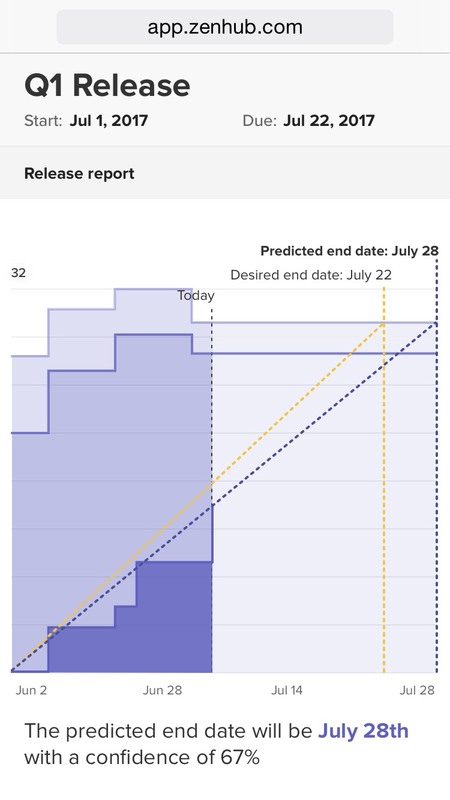 Get insights into what needs to get done, predict when your product will ship, and use data-driven decisions to achieve better business outcomes. Join the world&apos;s most innovative teams.